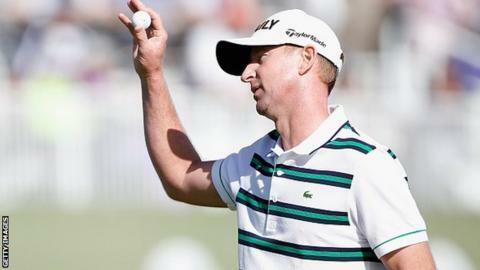 Vaughn Taylor hit a seven-under-par 65 to win his first PGA Tour title in 11 years at the Pebble Beach Pro-Am. Taylor, ranked 447 in the world at the start of the week, only got into the tournament on Monday as first reserve. The 39-year-old American secured victory when overnight leader Phil Mickelson missed a five-foot birdie putt on the 18th to force a play-off. "I don't even have my tour card - now I am playing in the Masters," said Taylor, who finished on 17 under par. The victory means Taylor qualifies for the first major of the year in Augusta in April. Overnight leader Mickelson was trying to win his first tournament in 50 starts since the 2013 Open Championship but a level par final-round 72 left him one shot off the pace. "It never crossed my mind that I wouldn't make that one," said Mickelson, who missed out on a fifth career victory at Pebble Beach. A three-under 69 took England's Justin Rose into a tie for sixth, while world number one Jordan Spieth finished tied for 21st.